BUFFALO HORTICULTURE - The Buffalo Horticulture Project and "Border Gardening"
I’m honestly not sure, but I believe I bought my house in 2013. I try to locate this in time moving backwards in my recollection seasonally. Last year, in 2018, I made few changes to the garden as Buffalo Horticulture was so busy it left me no time. I did add some round forms - Boxwood and Yews - to the front as the lack of structure was making me crazy. In 2017, again in a move towards structure, I added a collection of woody shrubs to a garden with a proportioned rectangular geometry but no mass to command space: Lacking mass as in the previous two years I had added three large beds as I had taken a love and interest in growing cut flowers. Before this - and here is where my memory gets somewhat fuzzy - there wasn’t really gardening. The work for the first two years I owned the house was in reclaiming a yard that had been taken by weed trees - Norway Maple and Buckthorn - that are so common in the city, spontaneously germinating in cracks, edges, and fence lines. The backyard was a dark cave. Bare soil as so little light penetrated. Secondly, the longest foundation wall of the house was buckled in and needed to be tore down and rebuilt and so up came the broken up concrete driveway as 1/3 of the sites green space was to be dug down to five foot depth to accommodate construction access to the foundation wall. And as everything was put back together we resolved a common drainage issue as the back doorsill is only one inch above city sidewalk height, sixty feet away, and not enough slope to allow the water to drain off. This was how it started. Having just begun reading what is supposed to be an classic garden writing book - “We Made A Garden” by Margery Fish - I’ve thought it may be nice to start writing some of my own garden’s story. But there is so much to tell that for now the best I can get together is this short introduction so I can put out some short bits and pieces on all the details, people, and places it followed me through. I use the term "Value" often (always). It speaks of emotion, ethics, and the domestic. Family Life - or how we live everyday. "The Buff Hort Life" or "The Floral Life." ways in which we may wish to live. and impossible to consider outside of dialogue with "The Market." "100 Gardens to Visit Before You Die." And it stimulated this whole thing. and I with landscape and gardens. ​I see one's work as "What it is in dialogue with"
or how we may value them. It is a different field of work. recognizing the inseparability of living process, production, magic, and value. 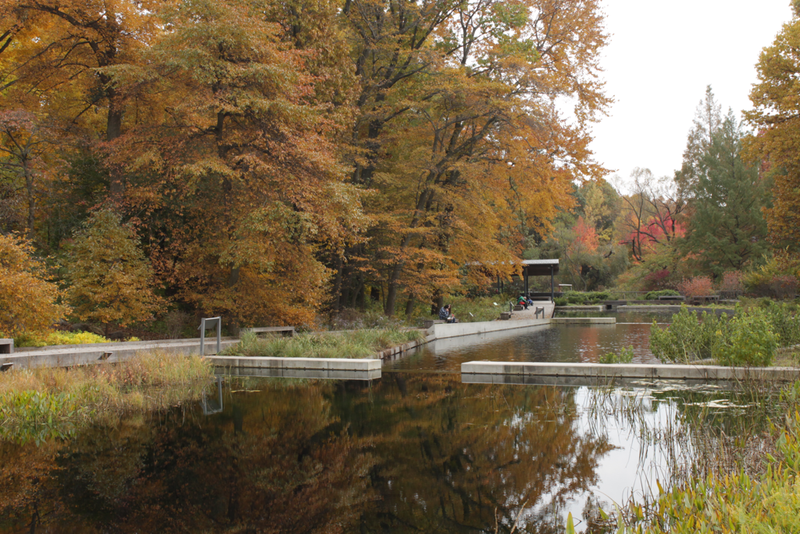 Native Plant Garden - New York Botanical Garden. Its a funny life. For all of time, this work, well, until social media, it was just something I did that was hidden away in people's back yards. It was pretty lonely. And even still, I was driving home from Cortland the other day, talking with 'Junior' and he got serious with more for a second, looked at me and said, "I'm just not really sure what it is that you do. Like. What is Buffalo Horticulture exactly?" "Junior. You see, everyone fetishizes nature, always, so much. But nature is a different thing. We don't make it. 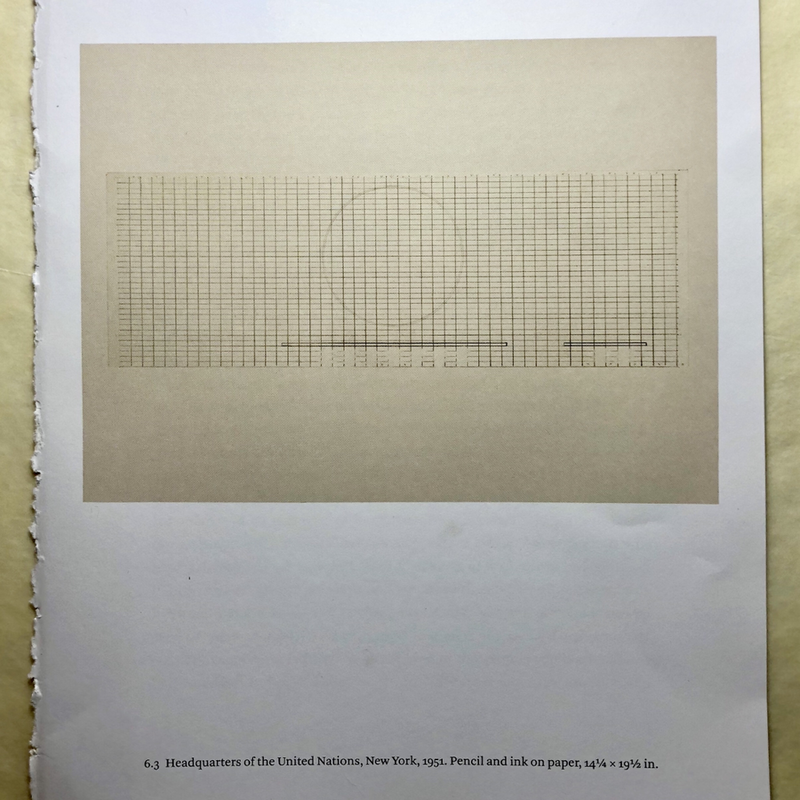 And when I'm doing my work..."
'Josef Albers United Nations window design"
"You see. When I'm working, I'm not looking at that..."
"...I'm thinking with images like this one from Albers of a window he designed." Junior scrolled through his phone. 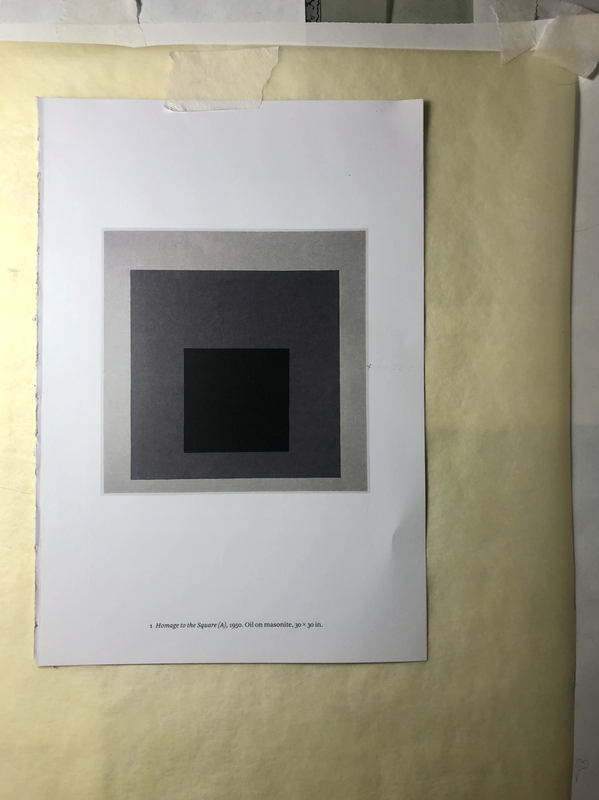 The window sketch never came up in "Images"
Just endless versions of Albers' "Homeage to the Square." ​Yeah. We can look at that one too." The Process, Work Day, and Everyday Life. It just seemed so complicated. But it was too much to articulate and communicate understandably. I have been able to make reading a part of life again. with a pot of camomile tea and a melatonin. Sleeping is difficult. and track it on an app - "MyMacros+"
(Its a better life for me, discipline and "other work). The kitchen has become an intensely productive space where I spend most of my domestic time. Its quiet here. For the most part, no one is around. Although, my cat can be annoying. But the textual collaborations and overlaps assembled prove too complex for "the blog." It is Friday, January 11th. My daily task lists are still unrelenting. The work to do before March begins is more daunting than a production day in May. I can't find a day of rest. I wanted the reading time before meeting "the suits" for a run at 5:45.
that is directly about gardens and landscapes. And - its just not good enough. "Buffalo Horticulture Riffs On The Classics: On The Greatest Gardening Tips of All Time." Number Two. On The Conservation of Water. This is post two of a series that takes its lead from a piece in Martha Stewart Living (May 2018) that offers "10 smart ways to help your plants thrive [while you] go truly, vibrantly green." I see them as classic "all-time" garden tips and rewrite them to situate their relevance in a Buffalo, NY context. In "the garden literature" there is a lot written on how to use less water for your garden - a conservation that's practices' range from capturing rain water to planting plants that don't need water. To keep this contained I will have to offer my essay as a series of bullet points. We have to contextualize our our position in Buffalo and WNY. We sit on the shore of Lake Erie and have the greatest availability of fresh water anywhere in the world. Water here is not scarce. Not that we should waste water, only, understand that water is valued differently in other places and so influences their gardening culture. We develop our gardening practices and style because of what resources are available to us to make with. Buffalo has water - generally - and so we can create amazing lush gardens that people from around the world can visit - in part because of our geographical and climate context. Of course, our supply isn't infinite. We still must use water responsibly. If you are trying to do xeriscaping in Buffalo, NY you are living in a commodity bubble. Get out of it and touch the world you are apart of. When we save water in Western New York, in rain barrels for instance, it isn't because we need water for the garden. The promotion of rain barrel use and water capture practices are, in Buffalo, for the average home garden, about keeping rain water out of the storm sewer which is outdated and doesn't have the capacity to handle the run off following the historical moment of the parking lot and the driveway. When it rains heavy it causes the storm sewer to overflow into the sanitary sewer which then in turn overflows into the river. Pay attention to summer time beach closings on Grand Island. (Some urban farms may be the exception to this as water capture can become an alternative to using city water). Lawns naturally go dormant when it is hot and dry (with "cool season grasses" of Bluegrass, Rye, and Fescue that we use here). It is OK for the lawn to be brown. Let it happen. When you start forcing plants to do things they wouldn't naturally do, problems start. An established lawn should not need to be watered more than 8 to 10 times per year in WNY. Before Memorial Day, I cringe when I see sprinklers running. Same with late September and October. Establishing a new lawn with sod or seed is an exception - especially sod which demands supplemental watering to stay alive until established. 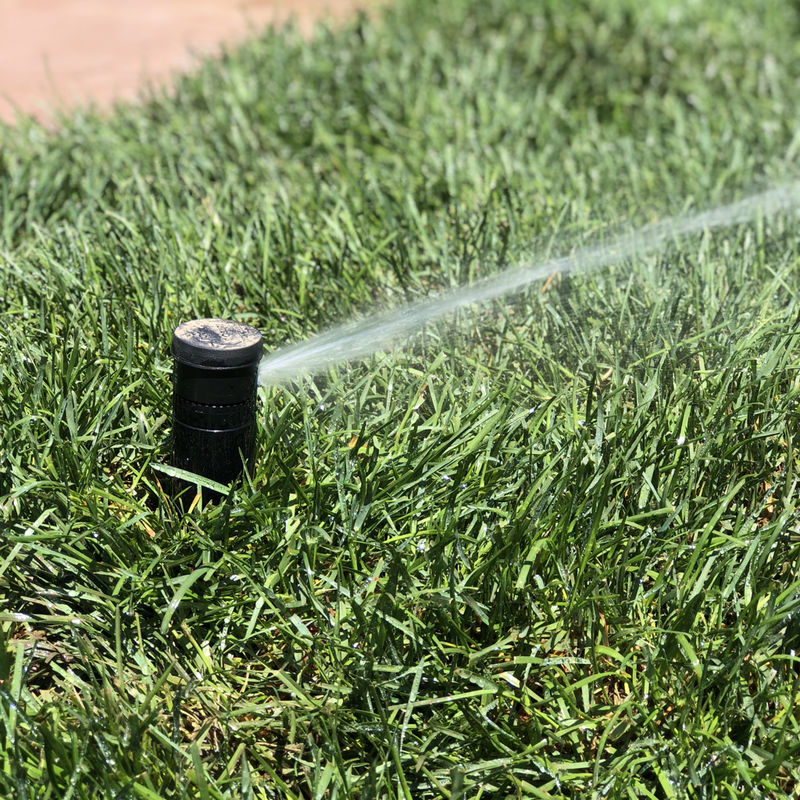 If you want to conserve water, lose the automatic sprinkler system: And if you need to have it for labor savings, operate the system in manual mode, turning it off and on only when a human decides the landscape and garden needs water. With ornamental plantings, if you want to water less, don't plant annuals. Generally speaking, trees, shrubs, and perennials, once established will not need supplemental watering. In the heaviest of droughts, maybe - but they can be cared for with one or two very deep waterings. Watering ornamentals is more about performance. By the time Garden Walk comes around at the end of July, most of a gardens plants look cooked. One's eye can see the dryness in browning leaf margins and dull colors. With this, you will see Garden Walk participants out the 10 days or so preceding the event as just a few good soakings will "lush up" all the plants and give them a refreshed cool sense to them. Most important though for the average homeowner and gardener - established plants aren't going to die. Even the supposedly more "dramatic" weather we have seen in past years, I have only seen one summer in all my experience where established trees - of course those most susceptible to drought - actually died, and even then, it was only a handful and they were in difficult growing situations to begin with.